The following are respresntative examples of telephone central office buildings in Area Code 660 (Missouri). It houses a remote hosted by the Kirksville host & tandem. 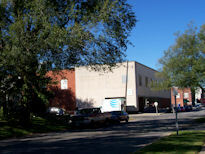 It is located in Central Missouri and is home to a remote switch hosted by the Kirksville DMS100. The detail over the door is something that used to be included on every Southwestern Bell office built in the 1920s thru the 1940s. These doors used to open on the business office where folks would pay their phone bills. This office is located in Central Missouri. It houses a Nortel RSC which is hosted by the Chillicothe, MO DMS100. 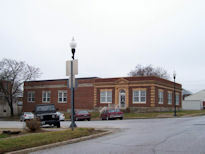 This Central Office is located in north central Missouri. 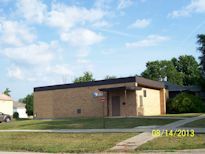 It is situated in the middle of the business district of this farming town which is the county seat for Livingston county. It houses a remote switch hosted by the Kirksville DMS100. The Outside plant folks have a truck in this isolated area of Northeast Missouri and SBC built a garage just for them. It is in Northeast Missouri serving a small farming community with the RSC hosted by Kirksville DMS100. This CO located in central Missouri. It houses an RSC hosted by the Kirksville DMS100. 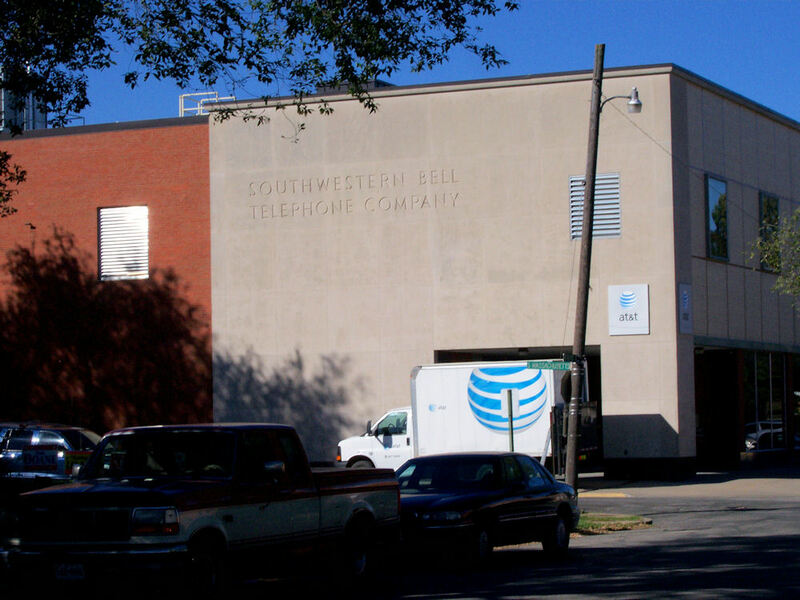 This is one of those offices which demonstrates the dramatic change in Southwestern Bell from the 1920s to the 1970s. The original office is on the right and it looks very much like a bank or library building. It had a business office in front and a switch room in the back. When the old step by step switch got replaced in the 1970s it was installed in the large building addition to the left of the original office. The only effort to keep the addition consistent with the original building is the windows. Kirksville houses a Nortel DMS100 switch which hosts many remotes spread over a large area. I was surprised when I saw these pictures after I had taken them because in one it appears that the radio tower is behind the building in one and in the center of the building in the other. The tower is actually built about 3 feet from the edges at the rear left corner of the building as seen in Photo 1. The remotes it hosts are Lancaster, Downing, Edina, Higbee, Armstrong, Fayette, New Franklin, Boonville and Glasgow. It houses an AXE10 switch. The large business office window on the right side of the building front was bricked up years ago but you can still discern the brick is of a different shade. Note: The switch in this central office is expected to be replaced with a new switch (Genband G5 packet remote) in February 2013. CLLI code will change to KNNSMOLORPA. This office houses a DMS remote hosted by the Kirksville DMS100. This is a very pretty little town in North Central Missouri. This picture was taken in the interval when SBC had not yet bought AT&T and had eschewed signage of any kind. It house another Ericsson AXE10 switch which hosts a single remote in Slater, MO. Marshall is a nice little town in Western Missouri and is the county seat for Saline county. Moberly is a toll collection office and this picture clearly shows the progression of building additions over the life of the office. It started out with the small dark brick portion on the right. That was roughly doubled by the addition of the lighter brick bays to the right and a new roof line. Finally came the huge toll addition and the radio tower in the 1960s. It is believed that the former EXchange name here was TAylor. 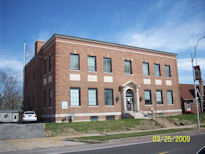 This office sits in downtown Sedalia where the annual Missouri state fair is held. Notice the closeup of the the old Southwestern Bell chiseled into the fa�ade of the building. This photo was taken when the inter-company mail truck was there for a delivery. 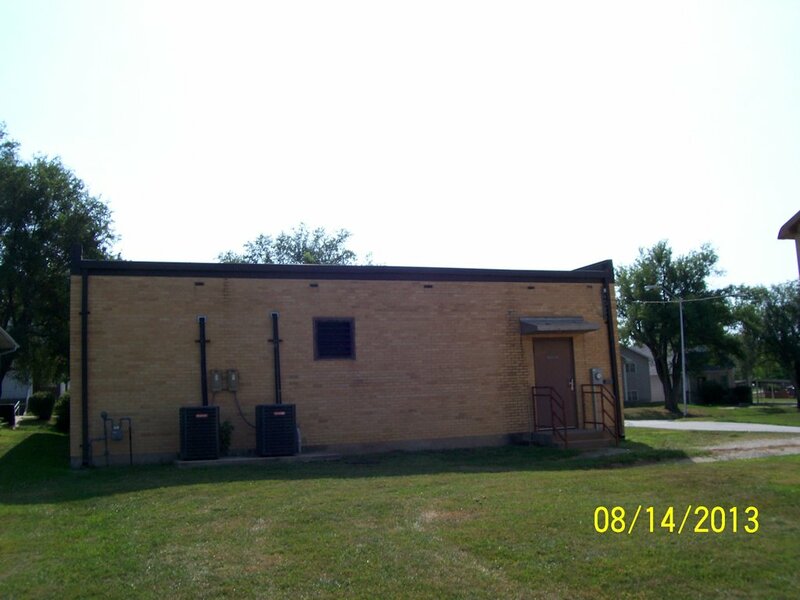 The fa�ade was applied to the building before the addition was built. 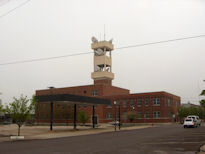 It is home to a DMS remote hosted by the St. Joseph DMS100. There is not another AT&T wire center northwest of this one because they sold Marysville to CenturyLink several years ago. At the far left of the front view you can see the rear part of an AT&T 2 truck garage. This far north they get so much snow that it is necessary to garage the trucks. The front view shows clearly the building addition 25 years ago to place the DMS Remote switch. You can see the clear line where the lighter blond brick starts.